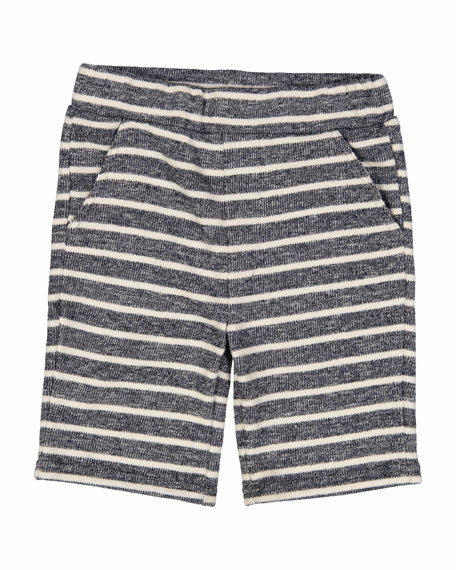 Andy & Evan striped shorts. For in-store inquiries, use sku #2555533. 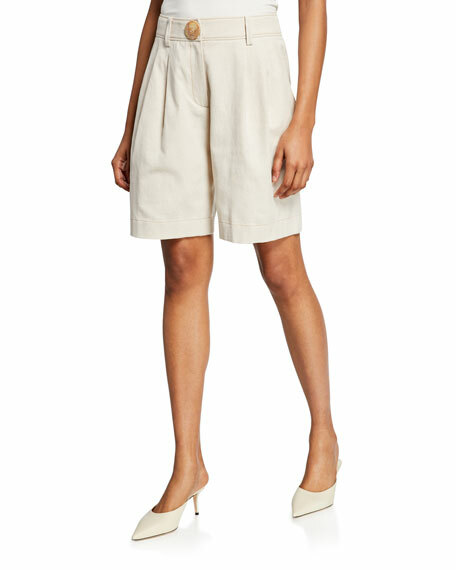 PINKO "Irma" shorts in linen blend. High-rise; self-tie belt. Side pockets; back welt pockets. Relaxed fit. Cuffed hem. Hook/zip fly. Linen/viscose/spandex. Lining, cotton. Dry clean. Imported. REJINA PYO "Renee" pleated shorts. Mid-rise; pleated front. Side slash pockets. Back welt pockets. Relaxed, straight fit. Button/zip fly; belt loops. Cotton/linen. Dry clean. Imported.